French skipper Marc Dubos purchased Esprit Scout in 2016 prior to the Transat Quebec – St Malo and since then the boat hasn’t stopped sailing. Marc has competed in two Normandy Channel Races, the famous RORC Fastnet Race, Transat Jacques Vabre and will look to complete the 2018 season by racing in the RORC 600 followed by the Atlantic Cup. 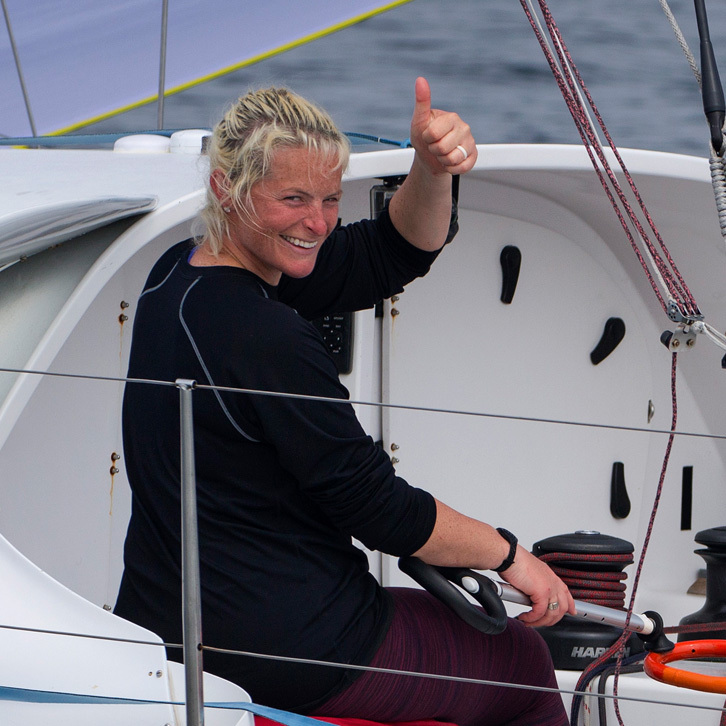 Due to injury Marc is unable to compete in the first leg of the Atlantic Cup but has brought race veterans Liz Shaw O’Toole and Kyle Hubley onboard! I was born in Paris, France, where I lived until I was 15, and then moved to Bordeaux, France’s 4th biggest city, not quite coastal but estuary. I was Aquitaine regional surf boarding champion in 1995. I’m useless with a ball and bat. Are you single, in a relationship or married? In a relationship. I have 4 daughters. As a sailor I’m confronted every day by the devastation that human behaviour is wreaking on the planet. I see it in the disturbed weather patterns, I see it in the polluted seas. I can’t help but want to put a stop to it. Consider consuming local. The sea is awash with containers and other hazardous objects. During the Transat Jacques Vabre, Esprit Scout collided with an object that left a gaping hole in the hull. I had to pull out of the race for 3 days to repair it but it could have been the death of us. The Atlantic Cup also has a robust Kids program, where we teach kids about offshore racing, geography and protecting the planet. We also ask the Kids pick their favourite team. Tell us why Atlantic Cup Kids should vote for your team. Esprit Scout, which means Scout’s Spirit, is a 100% scouting project, supported by the World Organisation of Scouting Movement. We invite kids aboard at the race village, encourage young sailors, especially girls, to join our crew in races and regattas and have an active schools programme. We want to show kids that anyone can fulfil their dream. And give them the chance to do it. 50 years experience and 35,000 miles sailing this magnificent boat. Unbelievable solitude. But also the kind of togetherness that lifelong friendships are made of. I did it a couple of years back. You have to watch out for the fog and the lobster pots! When I was 6 with my dad. I’m not superstitious anymore, it’s bad luck! 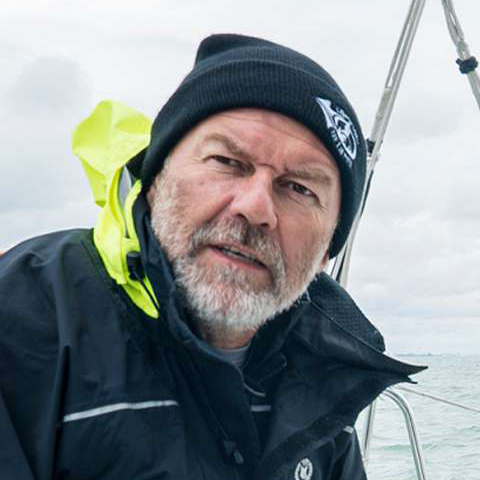 We’re entering the Route du Rhum, which will be sailed by Jean Luc. I’m looking for a co-skipper and hoping to find an eager candidate amongst the local sea scouts in Carolina, the Southern states or anywhere in the USA, in fact. I’m looking for a youngster with a thirst for challenge. Resourcefulness and intuition. I can macguyver just about anything out of anything. I love and respect the wild nature of the offshore environment,… zero concessions. What I like least is the constant risk of breakage and collision. Losing my co-skipper. My greatest fear is of setting out with a crew, and finding myself alone. Actually, the biggest challenge isn’t the race but all it takes to get to the starting line. 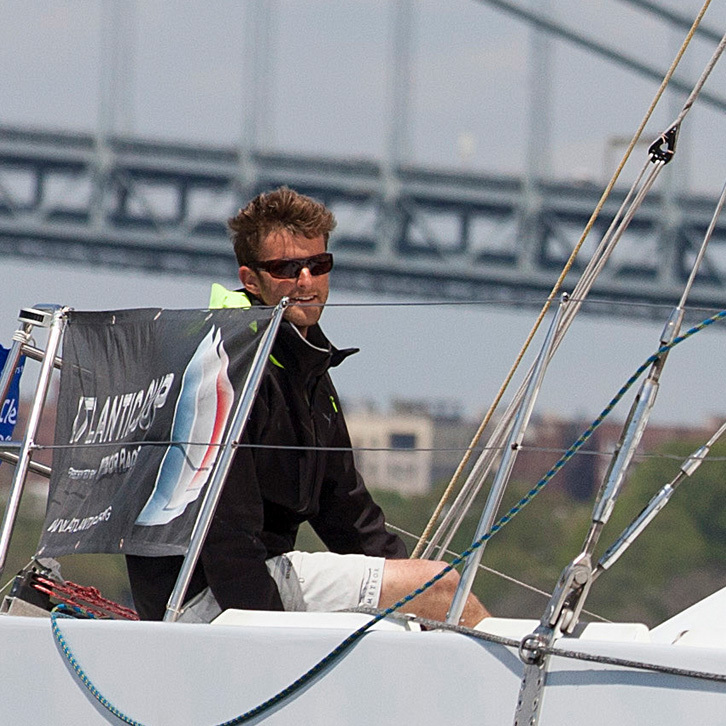 Making contacts, finding a co-skipper, looking for sponsors, etc. Leaving your comfort zone, your family. How do you rate your chances in the Atlantic Cup? Who do you think is the favourite? I’ll be doing my best as always, I think I have a good chance of finishing in the first 5. Eärendil is a good favourite. Quite the contrary. If you don’t get enough sleep, you make yourself vulnerable to poor judgement and your decision making’s altered. Like any good sailor! The right sail for the conditions. I don’t really follow any team sports. What’s your favourite thing to eat when you’re offshore? Least favourite? A very dark, smooth chocolate hits the spot every time. Least favourite, whatever’s left when all the good stuff’s been eaten! What is your favourite movie line? I hang out on the sofa snoring in front of a good sci-fi film.